Registration for currently enrolled College of Charleston students is now open via MyCharleston. Student eBills will begin to post to students' MyCharleston accounts on April 18. It is imperative that students familiarize themselves with the College's tuition and fees for summer coursework. 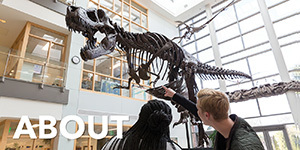 Registration for undergraduate summer visiting students is now open. Click here to apply! Undergraduate summer visiting students are classified as those who will only enroll in coursework at the College during the summer from another institution, College of Charleston alumni who have already obtained an undergraduate degree or College of Charleston students who will have obtained an undergraduate degree prior to the start of Maymester and Summer Sessions. 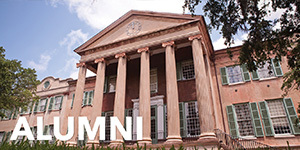 Request an official copy of your undergraduate transcripts from their home institution be mailed to the College of Charleston, Summer Sessions, 66 George St., Charleston, SC 29424, faxed to 843-953-7371 or emailed to summer@cofc.edu. Please note that our office only accepts copies of official transcripts (unless you received an undergraduate degree from the College of Charleston). Feel free to contact our office directly to verify that we have your former transcfipts on file if you are a returning student and have not taken coursework elsewhere since leaving the College of Charleston. Submit your Verification of Lawful Presence information, which is accessible through your MyCharleston portal under the “My Forms” tab. 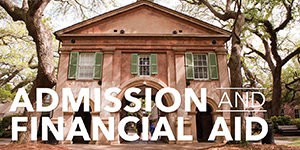 Once you have received your MyCharleston student credential email (sent to the email address listed on your application once your online application is processed between 3-5 business days), you will be required to complete your summer 2019 financial responsibility form, located under the “My Forms” tab of the student’s MyCharleston student portal. Incoming freshmen, transfers and fall applicants who have recieved a fall, degree-seeking admissions decisition. Incoming freshmen, transfers and fall applicants who have recieved a fall, degree-seeking admissions decisition or awaiting a fall application decision are required to be advised before filling out a summer visiting student application. If you are a member of one of the aforementioned student populations, please call the Academic Advising & Planning Center at 843.953.5981 to schedule an appointment. 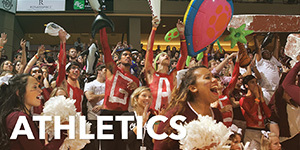 All student athletes are required to contact Kate Tiller in Athletics via phone at 843.953.3660 or via email at tillerk@cofc.edu in order to be advised for summer coursework. Auditing student receive no grade or credit hours; however a record of their participation will appear on their College of Charleston transcript. Students who wish to audit courses should register for those classes prior to the first day of class following the same procedures and deadlines as if taking classes for graded credit. Students who wish to audit summer courses must retrieve an audit form from the Office of the Registrar or access a Permission to Audit Request Form here. Once completed, students must deliver this form to be signed by the course instructor on the first day of class and return it to the Office of the Registrar during the drop/add period for each term of enrollment. Payment is due upon registration. There is no reduction in tuition for auditing. There is no cross registration for summer sessions. High school students who are rising juniors or seniors must submit a copy of their high school transcript (unofficial is acceptable) and a letter from their principal or guidance counselor stating that the applying student is in good academic standing to enroll in college-level coursework. 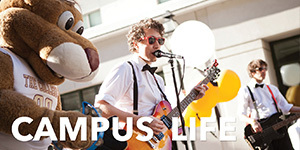 After doing so, dual enrolled students should complete the College's online summer visiting student application, which will be posted on March 18. New non-degree students are classified as students who hold a high school diploma (or equivalent diploma) and have not been dismissed from any college/university or have been denied admission to the College of Charleston. These students should follow the application directions listed above for summer visiting undergraduate students. Students planning on continuing coursework after the conclusion of summer must apply seperately for subsequent semesters here as a fall/spring non-degree seeking adult student. Students who are 60 years old or older and a resident of South Carolina can enroll in classes at the College of Charleston. Senior citizen students may audit courses for personal enrichment or enroll in courses for credit. Please note that performance based courses must be taken for credit. Most senior citizens take undergraduate courses. Registration (on a seat-available basis) takes place on the day after the drop/add period for each terms. During registration, you will meet with an advisor and register for available courses. You will then pay a $50.00 registration fee (and any applicable course fees) at the Treasurer’s Office. You do not have to pay tuition, but you will be responsible for the costs of books and any additional course fees whenever applicable. A senior citizen taking classes for the first time must show proof of age (e.g. driver’s license or passport) and sign the Senior Citizen Student Status Verification Admissions Addendum at the time of registration. Audits are handled during registration. Any international student not currently enrolled at the College of Charleston. Visiting international students must follow the application procedures as outlined above for visiting students. International students must also contact the College of Charleston's Center for International Education for a “document check” before registeringfor summer coursework. If you are an international student and do not have a U.S. Social Security Number, please email Jessica Stone (jonesjh@cofc.edu) in the Center for International Education for assistance locating your CWID (College-Wide Identification Number). 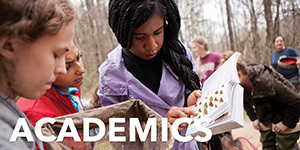 Students who wish to enroll in a graduate-level coursework are required to contact The Graduate School of the University of Charleston, South Carolina for assistance with summer course registration.